The countdown to Melbourne Knights return to the national stage via the FFA Cup is less than a week away, with Knights Stadium playing host to WA outfit Cockburn City next Wednesday. 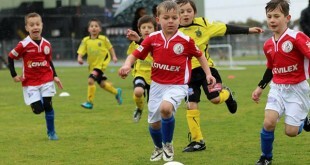 It has been 12 years since Melbourne Knights last hosted a top level fixture, and although the Knights participated in the inaugural year of the FFA Cup, having a fixture in their own backyard brings an added level of excitement and anticipation. Andrew Marth made his ambitions clear from the beginning, with a firm focus on qualifying to the round of 32 a non-negotiable target. 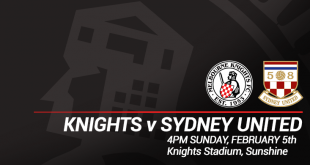 With his side currently out of finals contention and well clear of relegation, Knights fans will expect their side to give everything possible to establish a decent cup run. With the other three Victorian clubs already securing their names in the hat for the round of 16, a win for the Knights will establish further evidence that the NPL Victoria competition is the strongest outside of the A-League. 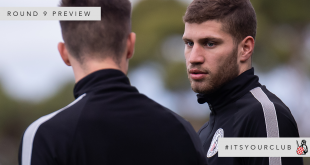 This season’s edition of the FFA cup has already produced a number of talking points with two State League clubs, including league rival Green Gully making headlines for defeating A-League opposition. 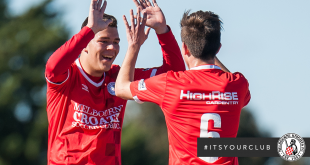 Melbourne Knights can make a statement of their own next Wednesday, and will head into their contest as warm-favourites against Cockburn City who have struggled in their league campaign this season. However, the Knights will have to be at their absolute best as the team from Western Australia have shown they thrive on cup-runs and being the underdogs. The biggest statement the Knights can make is not on the pitch, but in the grandstands. 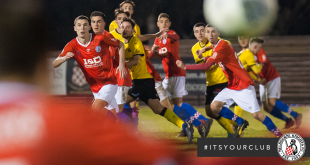 With the added exposure and prime time television coverage of the fixture, a packed Knights stadium will send a clear message to the Australian Football community that the heart of Melbourne Knights club and community is well and truly still beating. All fans of Melbourne Knights and Football are invited on Wednesday 10th August to re-ignite the unique experience and atmosphere that only Knights Stadium can produce!. Previous Knights Armour Up For City Siege.